Longtime chief information officers reflect on how their day-to-day activities have changed and what skills are most important for today's IT leaders. Jack Suess has worked at the University of Maryland Baltimore County since 1981, and he led the IT organization for several years before being named vice president and CIO in 2000. In the early days, his role was much more narrowly focused. In the '90s, the job of IT director was more of a technician role, he said. "I was one of 50 people on campus who had the title of director — and that didn't get you onto the president's council or on the budget committee. I was reporting to the vice provost for academic affairs. While he may have participated in some of the committees, I didn't. So you were getting your lens filtered." But things have changed dramatically since then, he said. "The skills you needed to be an IT leader in the late '90s were completely different than what you need today." The chief information officer position continues to evolve as technology becomes more central to the mission of the university. 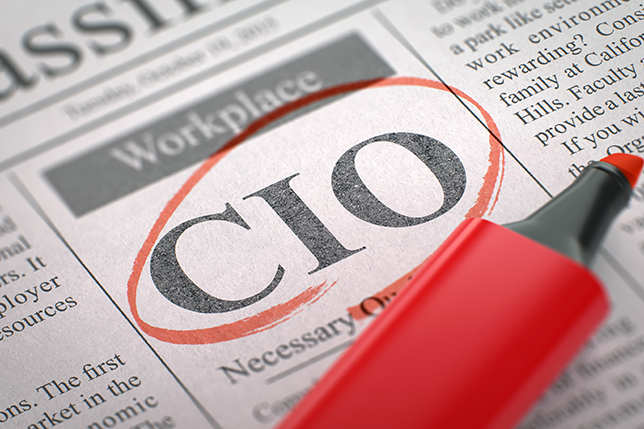 How has that affected what the CIO does day to day? Campus Technology asked several longtime IT leaders, including Suess, to reflect on how they have seen the job change during their tenures. When UMBC created the CIO position in 2000, the institution was saying it wanted IT in the room when the administration started to think about strategy, Suess said. "At that point I got to be involved in budget committees, attending the president's council, and got to be part of the strategic planning committee." That move from director to CIO was about beginning to position IT as a department of strategic importance. Fast forward to 2005, he added, and to be a vice president at UMBC was to be a thought leader who understands higher education and the broad-based issues impacting the university. "My special role is to make sure we are applying technology strategically to be advancing the core priorities of the university." Suess started his career working on Unix systems and then doing web programming. "But I don't do any of those things today," he said. He spends his time building relationships internal to the campus, thinking about strategy or working with groups external to campus, such as Educause and Internet2. "I probably spend a day and a half per week on outside activities," he estimated. The rest of his time is split between attending meetings outside IT and working on improvements internal to the IT department. Theresa Rowe is CIO at Oakland University (MI), a position she has held since 2002. She has been at Oakland University since 1990, serving as a senior systems analyst, the manager of student information systems and director of information systems before stepping into her current role. One of the biggest changes she has noticed is that Oakland is buying or contracting for a lot more software solutions than it did 15 years ago. "The contracts and licenses are much more complex than they used to be," she said. "The volume and complexity has necessitated that we reorganize to create a procurement management position. This means as a CIO, I'm not overseeing a stagnant organization. I am constantly reviewing trends, unmet project expectations and organizational capacity, and I'm trying to reorganize and structure the organization to best support the campus community and provide a robust and dependable technical environment." Another shift Rowe has noticed over the years is that the oversight of security has become a greater challenge, because there is more data to be secured, more regulations, more threats and more vulnerabilities. Ubiquitous networking, particularly for pervasive wireless, has changed the network environment, she explained. People now expect network connectivity wherever they are. "This is a big shift in how we approach networking, and it has redefined network security," Rowe said. That translates into more time spent on policies and procedures. That increased focus on security is something Wayne Brown has picked up on as well. The vice president and CIO at Excelsior College (NY) and founder of the Center for Higher Education Chief Information Officer Studies (CHECS), Brown has surveyed CIOs about their job attributes, education, experience and effectiveness for more than a decade. He observed that there are a lot of smaller institutions that don't have much budget or staff dedicated to information security. "I have never been a chief information security officer, but I have been a CIO since the mid-'90s, and there is no way you can do both jobs. Something has to suffer. I would agree with [Rowe] that in the last 10 years [security] has gone to the top of the list of concerns." Sharon Blanton has served as CIO of several colleges and universities of different sizes, including Scottsdale Community College (AZ), Pima Community College District (AZ), Portland State University (OR) and Hawaii Pacific University. Last year, she took a position as vice president and CIO at The College of New Jersey. She said that the CIO job description at each of those schools was fairly similar, although the job description at The College of New Jersey differed in two areas. "There was a very strong emphasis on governance and working collaboratively as a member of the cabinet. Now that I have been here for six months, I can really appreciate why so much emphasis was placed there," she said. "They were really looking for a business partner who would fit into what was already a very strong, highly functioning cabinet. I don't think this would have been a good fit for a first-time CIO. They really needed someone who could hit the ground running." Reflecting on all the CIO positions she has held, Blanton said the biggest change she has noticed over the years is that besides being a technical expert, the CIO is now expected to have a very high degree of business acumen. "We need to understand the business of higher education, but we also have to drill down and understand the business operations and workflow of many organizations throughout the campus." Joy Hatch, who became vice president for technology and CIO at Fort Hays State University (KS) in 2015, has been a CIO at several colleges and universities, including a six-year tenure as vice chancellor for information technology for the Virginia Community College System. She said she was attracted to Fort Hays State's pioneering spirit: The institution has almost 14,000 students from across the world, a robust online program and global partnerships in various countries around the world. The expectations for a CIO have grown considerably over the years, Hatch noted. "My first CIO experience was simple: provide the technology and people will use it. The CIO was responsible for making sure the technology was up-to-date and perhaps providing a strategy for the academic technology. The technology at the time involved laptops and pagers with some folks using mobile phones, so expectations were lower," she said. Although CIOs still need to keep technology up-to-date, users' expectations are changing, Hatch said. Students expect fast internet and mobile access. Employees now have e-mail on their phones, so trying to separate work and personal time has become more difficult. "And no matter where you are in the world, you are expected to solve problems, maintain secure data, manage digitalization projects and ensure all expectations are met," she said. That point was brought home to her on a recent three-week trip to China and Cambodia. From across the globe, "I negotiated technical support, explained upcoming changes to faculty, had discussions with staff and participated in meetings happening in Kansas," she said. "Ten years ago the technology was not available to make this happen, and today it has become another tool in the toolbox to get business done." Jim Bottum is getting ready to step down as CIO at Clemson University (SC) in July, after an illustrious career both there and as CIO at Purdue University (IN). Before being hired as CIO at Purdue in 2001, he had worked on supercomputing applications at the University of Illinois. He did not seek a CIO position, but Purdue approached him because it wanted someone to help the university move toward more IT centralization while keeping enough customization at the departmental level to support productivity. He also led a successful ERP implementation there at a time when there were lots of high-profile ERP implementation failures. After five years at Purdue, Bottum was looking for new opportunities and was approached by Clemson. "They wanted high-performance computing, but when I got here they were not ready for it. It took us a year-and-a-half to set up a data center and get people in place who knew something about high-performance computing," he recalled. "So there were a lot of infrastructure things to be done. But we went from no high-performance computing to being a national player working on NSF grants with top-tier universities." He said his work as CIO has shifted to spending more time communicating with faculty to ensure they are taking advantage of research computing capabilities. "At Clemson, six or seven years ago we had 19 of 54 academic departments using high-end computing. Today we have 48 of 54," he said. "That was all because we brought the pendulum back from administrative computing to the research computing side. If you look at CIO budgets, 10 or 15 years ago the bulk was on infrastructure or administrative computing. It shouldn't look like that today and certainly not five years from now," he said. "We should get back to supporting the mission of the university. You are not going to get a Nobel Prize for running a good payroll system. People get mad if you don't run a good one, but you are not going to distinguish yourself academically because of that." CHECS' Brown has studied CIO job descriptions, and noted that they tend to be written very technically — down to which network certifications prospective candidates should have. "One interesting thing I noticed was that the more the institution had a brand name, such as Ivy League or Big 10 schools, the sketchier the job description was and the less specific they were about what they wanted." Bottum said any new CIO job description should include figuring out a coherent cloud strategy. "Don't let it happen in bits and pieces, which is the way it is happening on a lot of campuses now," he said. "It is not a simple business plan. It involves getting people who run the university to change the way they do business." A CIO should have a successful change and project management history, and the ability to build an organization that operates with agility and responsiveness, recognizing the fast-changing environment, according to Rowe. The person should also have the ability to represent the university at a variety of external organizations, which are key to understanding trends. "The individual needs the ability to monitor and react to trends appropriately," she said, "and to see patterns, connect the dots, explain to others and build consensus in response." For any IT leader to be able to have the confidence of their campus, they have to be delivering excellent service, so there is an operational component that is absolutely essential, Suess said. CIOs need to have a strong team so they can spend their time doing relationship building. "If you can't deliver quality, robust services, you have no political capital on campus to talk about your vision. If the network keeps crashing or is slow, why are people going to believe that we could do some visionary new activity?"